Public Affairs & State and Local Government Relations at Walmart. Walmart was the Gold Star Sponsor of last weekend’s WaterFire Salute to Veterans. Walmart is highly committed to Veterans and their families and we will be discussing the many different ways in which they support and hire veterans and their goal of hiring 250,000 Veterans by 2020. Our second guest is Laurie Ludovici: Rhode Island State Police Woman and Major Rhode Island Army National Guard (Ret.). Laurie served in Operation Iraqi Freedom and will be speaking about being a woman in combat in the military and the life changing impact that experience had on her. 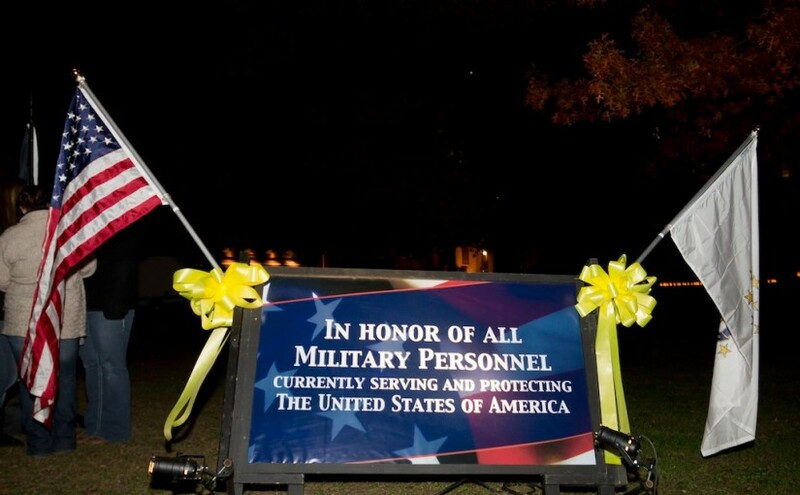 Episode 50 – Broadcast: November 11th, 2015 | Featured image: Memorial Park During the 2015 WaterFire Salute to Veterans. Photo by John Nickerson. 1.) David Graves, media relations specialist at National Grid. David, also an Army Veteran, talked about National Grid’s commitment to the armed services and veterans and the many different ways that National Grid supports Veterans, through their hiring programs and support programs for employees serving in the National Guard. 2.) Robert (Bob) Dalton:Enlisted -U.S.Air Force Feb. 2, 1953. Bob did two tours of duty in Guam, Oct. 1954 – Jan. 1955, April 1956 – July 1956. He was a crew chief on a B-36 Super Bomber. Bob will be at the Salute to Veterans with his organization on Saturday. His organization: The Sampson Air Force Base Veterans Association – Rhode Island Squadron is a non-profit organization composed principally of veterans who did their basic training at Sampson Air Force Base during the period 1950 – 1956 when the base was active. They have a Monument Committee whose members are working to build an Air Force Monument at the Veterans Cemetery in Exeter, RI The Air Force is the only branch of service that does not have a monument. 3.) The Rev. Dr. Richard Dannenfelser – Vietnam Veteran who was the head of an army LRRP team in Vietnam describes his experience as a soldier and Veteran. 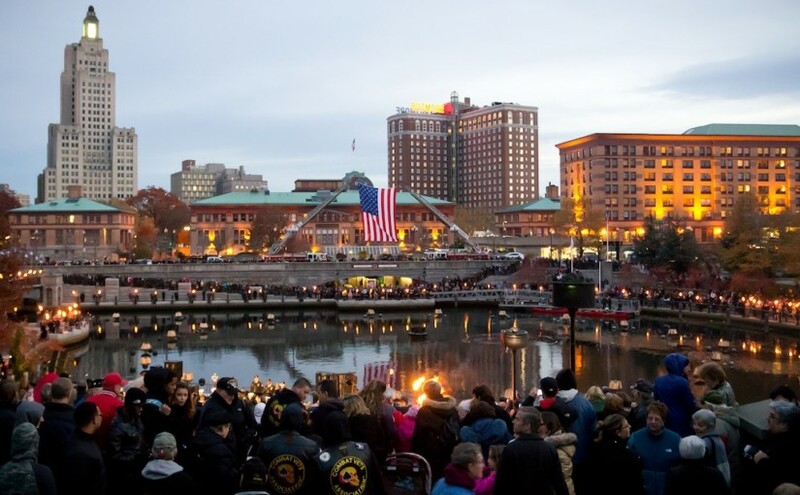 Visit the WaterFire Salute to Veterans website to learn more about Saturday’s event. Today’s show is all about the 2015 WaterFire Salute to Veterans lighting which is coming up on November 7th. We have the pleasure of chatting with two key members of the team that his helping up to plan and organize this event. First we speak with Salute to Veterans executive committee member Lt. General Reginald “Reggie” Centracchio (ret.). Our second guest on the show is Lynn St. Germain, Gold Star Mom of USMC Sgt. Brian St. Germain and also Family Readiness Support Assistant for the RI National Guard. 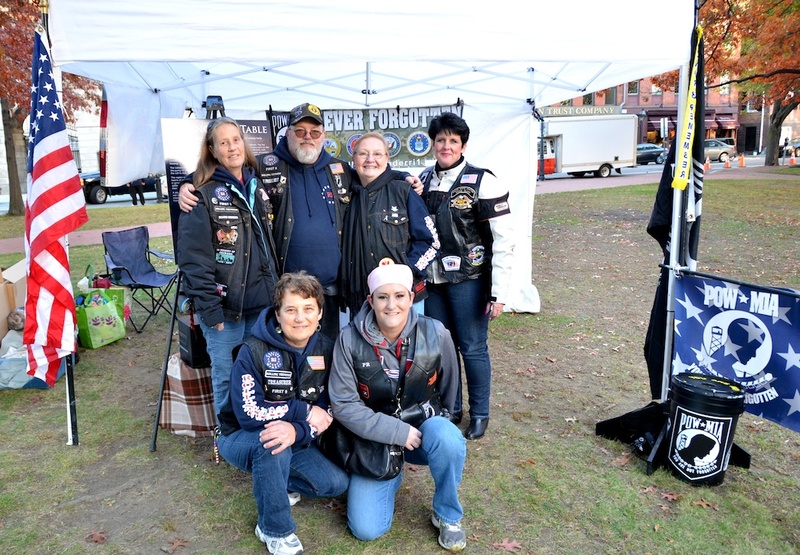 Rolling Thunder RI 1 members at the 2014 WaterFire Salute to Veterans Event. Photo by John Nickerson. Today on the show we’ll be speaking with Larry Brunell, president of Rolling Thunder RI 1. 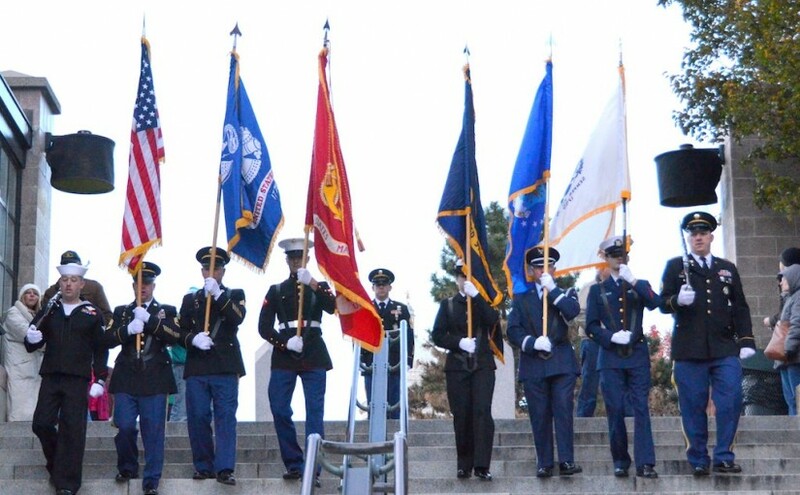 Together with WaterFire Providence they have been an integral part of our Salute to Veterans event, helping to honor our veterans and performing the Soldiers Cross ceremony in Memorial Park.  Our second guest on this show will be WaterFire Providence volunteer Mark Karas. Mark has been the captain of the WaterFire Access Boat for the past two seasons. 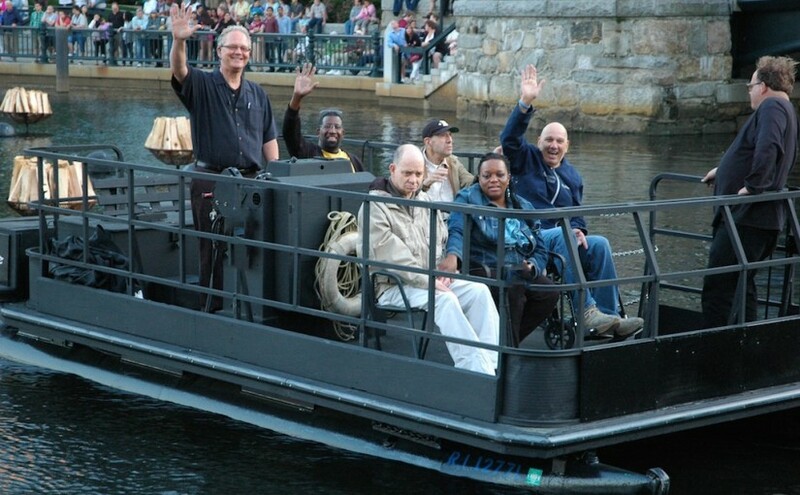 We are currently booking rides for the November 7th lighting so if you or someone you know is a veteran with limited mobility and would like to unique way to experience WaterFire contact us to get sign up for a ride. On this program we have a chat with Heather Oberg from the Providence VA Medical Center about our November 7th, 2015 Salute to Veterans Event. 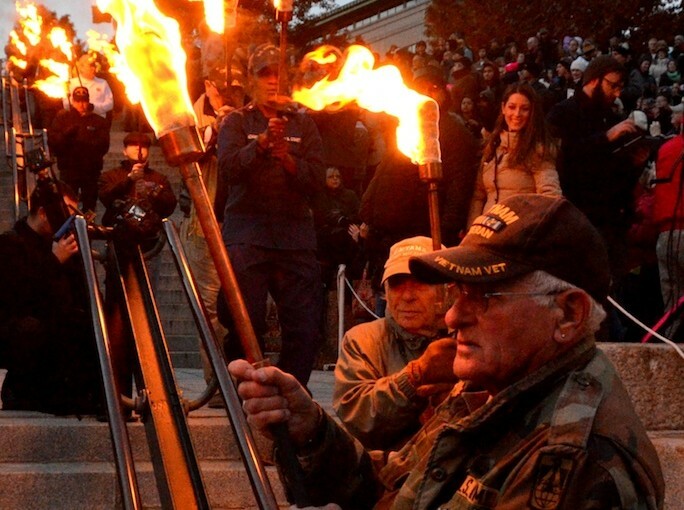 Interested listeners can learn more about this event and veterans can sign up to be torch bearers by visiting the WaterFire Salute to Veterans website. Our second guest is Ten31 Production’s co-founder Joe Pari. 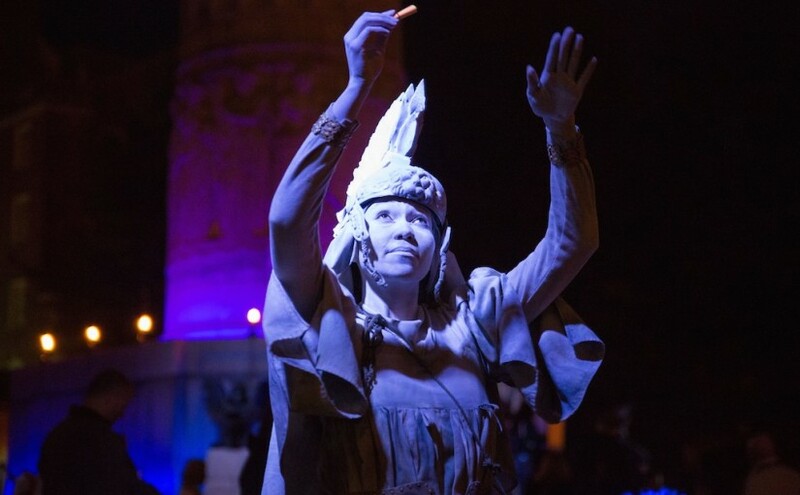 Joe joined us to chat about the history of their living statues and their upcoming Mysterium the Eternal Masquerade event at the Providence Public Library. This is event will held on Friday, October 30th, 2015. Tickets are available now. On this show Learn how ESGR is supporting local veterans in RI and go behind the scenes of TEN31 Production’s Mysterium: The Eternal Masquerade at the Providence Public Library. 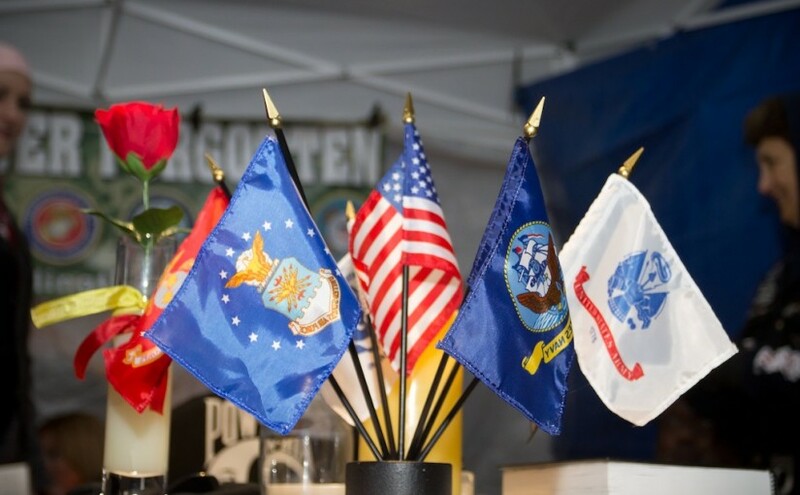 In the first half of the Bronwyn’s guest will be Brian LaFauci, representing RI Employer Support of the Guard and Reserve, who will be talking about the ESGR presence at the WaterFire Salute to Veterans and local employment initiatives. 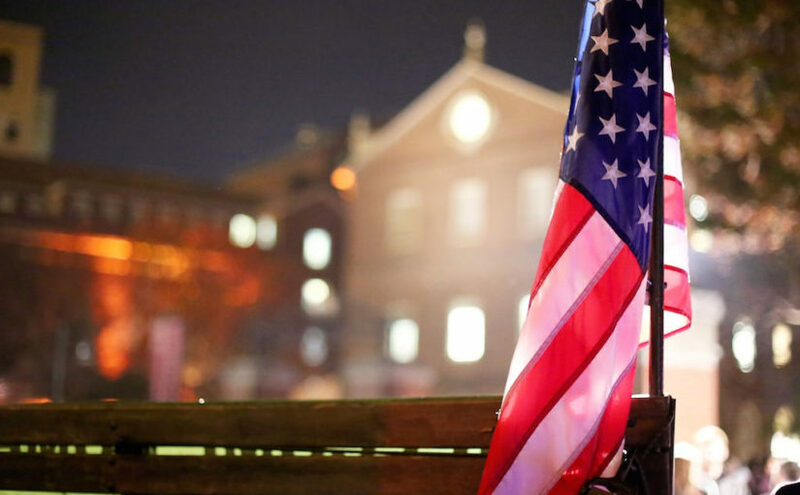 Brown University’s 250th Anniversary Celebration and Rolling Thunder RI returns to WaterFire’s Salute to Veterans. 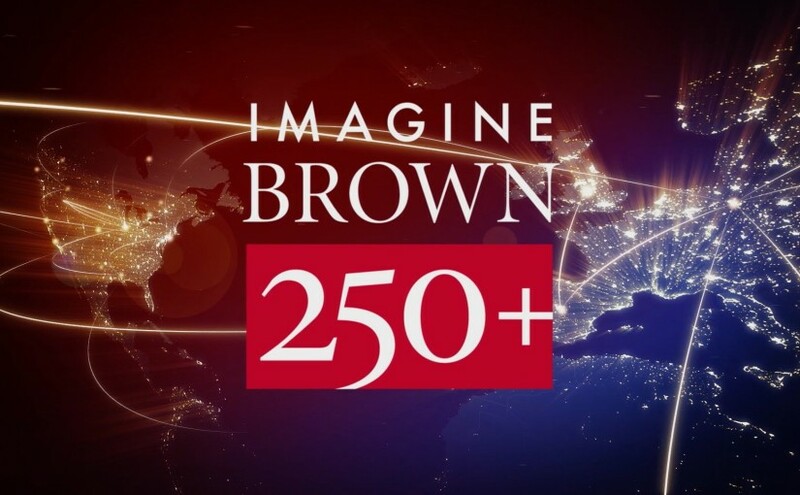 We have a great show today as we prepare for the upcoming full lighting on Saturday which is in celebration and honor of Brown University’s 250th anniversary! So as would only be fitting we have Eve F. Ornstedt Executive Director , Office of the 250th Anniversary, Brown University, Public Affairs & University Relations to tell us all about this milestone year, give us a little history of the University and talk about the celebrations taking place this year and ways that Brown is reaching out to our community. We begin the show with a brief discussion of the Creative and Cultural Economy Bond. 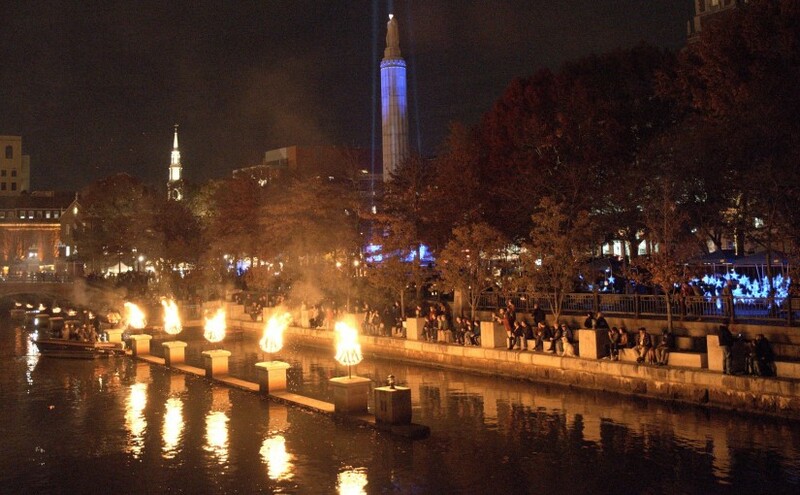 We’d like to bring our listeners attention an op-ed piece in today’s Providence Journal by WaterFire Providence’s Executive Director Barnaby Evans, and Preservation RI Executive Director Valerie Talmage. Please visit YesOn5RI.com for more info on this important bond issue. Then we are joined by Reverend Dr. Richard Dannenfelser – Clinical Psychologist, Presbyterian Minister, Vietnam Veteran and ten year WaterFire volunteer who will be sharing his insights on the WaterFire event, his role as a volunteer, his observations as to how WaterFire effects members of the community, his connection to specific events such as the WaterFire Salute to Veterans.